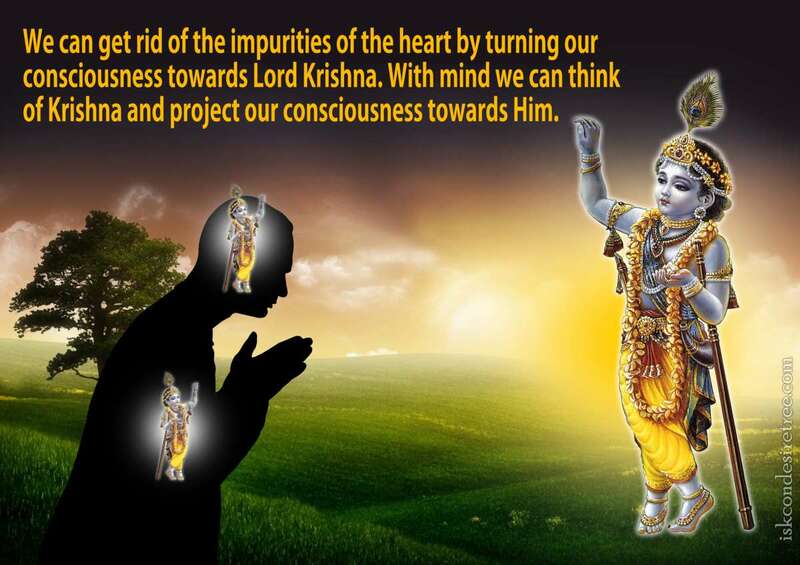 We can get rid of the impurities of the heart by turning our consciousness towards Krishna. 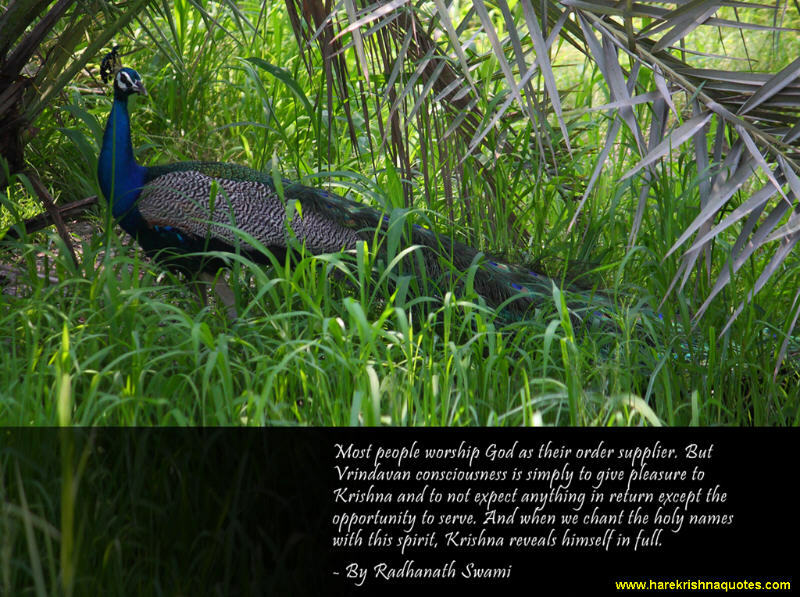 With mind we can think of Krishna and project our consciousness towards Him. Most people worship God as their order supplier. But Vrindavan consciousness is simply to give pleasure to Krishna and to not expect anything in return except the opportunity to serve. And when we chant the holy names with this spirit, Krishna reveals himself in full. Simply performing devotional activities will not impart devotion to others but our consciousness should be absorbed. Consciousness is important… Killer says, "I Shall kill you." 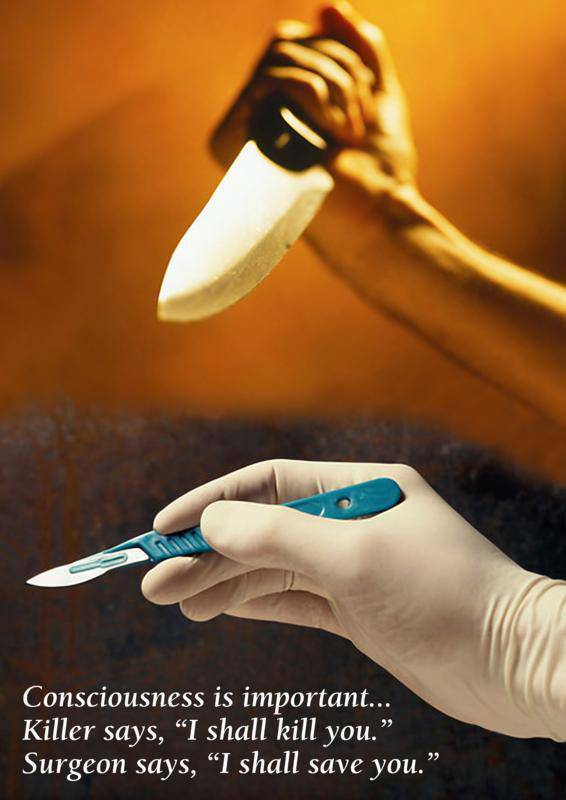 Surgeon says, "I shall save you." 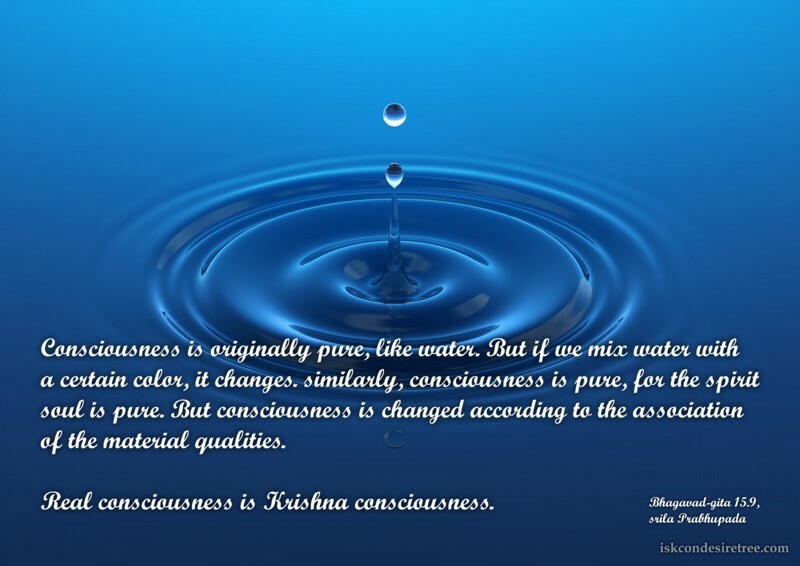 Consciousness is originally pure, like water. But if we mix water with a certain color, it changes. Similarly, consciousness is pure, for the spirit soul is pure. But consciousness is changed according to the association of the material qualities. Maya is so thorough, just like water, if there's one little hole, the water wil just find its way immediately to that hole. 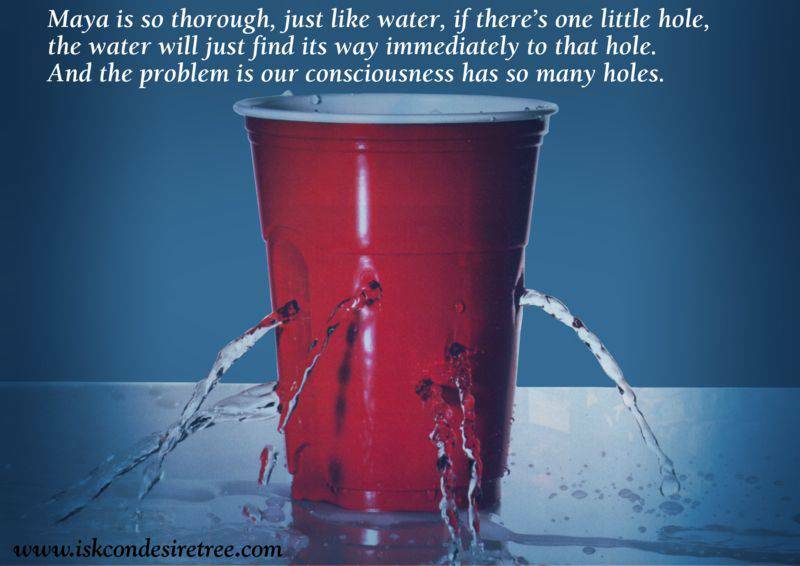 And the problem is our consciousness has so many holes.